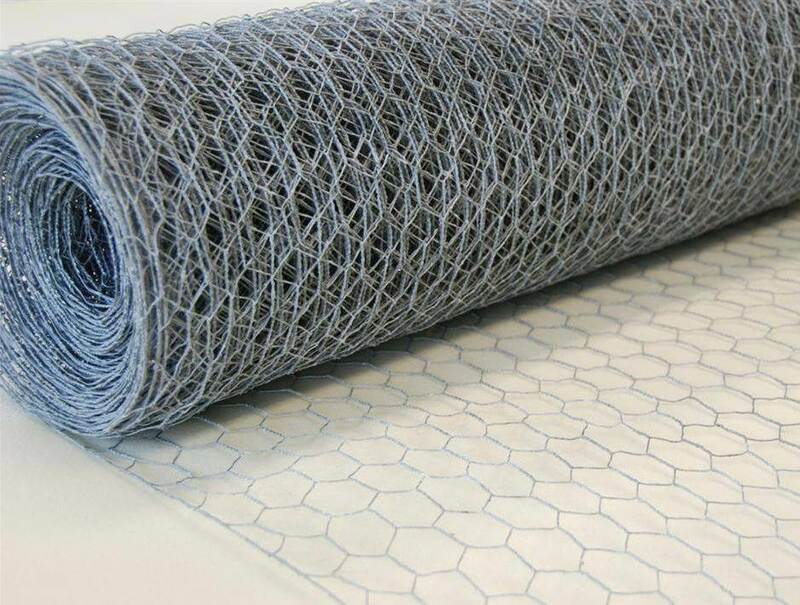 1800mm x 25mm 50m Roll 0.9mm (20g) Wire Netting Galvanized - Used for Plastering, Floor Screeding, or Chicken Runs. 1200mm x 25mm 50m Roll 0.9mm (20g) Wire Netting Galvanized - Used for Plastering, Floor Screeding, or Chicken Runs. 600mm x 31mm 50m Roll 1.0mm (19g) Wire Netting Galvanized - Protection against the smallest Rabbits. 1050mm x 31mm 50m Roll 1.0mm (19g) Wire Netting Galvanized - Protection against the smallest Rabbits. 1200mm x 31mm 50m Roll 1.0mm (19g) Wire Netting Galvanized - Protection against the smallest Rabbits. 1050mm x 31mm 50m Roll 1.2mm (18g) Heavy Wire Netting Galvanized - Protection against the smallest Rabbits. 1200mm x 31mm 50m Roll 1.2mm (18g) Heavy Wire Netting Galvanized - Protection against the smallest Rabbits. 600mm x 50mm 50m Roll 1.0mm (19g) Wire Netting Galvanized - Used for Poultry and General use. 900mm x 50mm 50m Roll 1.0mm (19g) Wire Netting Galvanized - Used for Poultry and General use. 1200mm x 50mm 50m Roll 1.0mm (19g) Wire Netting Galvanized - Used for Poultry and General use. 1800mm x 50mm 50m Roll 1.0mm (19g) Wire Netting Galvanized - Used for Poultry and General use.